1. 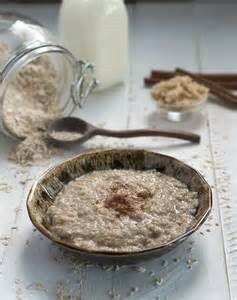 Combine milk and dry oats in a small, microwave-safe bowl. 2. Microwave on high for about 1 1/2 minutes. 3. Add powdered peanut butter and stir. Add ground flaxseed and stir again until combined throughout. 4. Top with sliced banana and enjoy!